Running of Gary Scrader's Layout. This is a Giant Step Forward in Building "O" Scale Steam Engines. Proves that Scale Wheels can be used on 5' Trackwork and run Flawlessly. THE LATE CAB FORWARDS WERE FIRST ANNOUNCED AT THE SCALE WEST CONVENTION AT WHICH TIME I RECEIVED RESERVATIONS FOR OVER ONE HALF OF THE TOTAL PRODUCTION QUANTITY. PLEASE RESERVE IMMEDIATELY TO ENSURE AVAILABILITY. THE CONTRACT QUANTITY IS FOR ONLY 40 UNITS. A NEW LEVEL OF DETAILING WILL BE ACHIEVED ON THE CAB FORWARDS AS YOU CAN SEE FROM THE 20 VERSION POTENTIAL SELECTION. TWO (2) LARGE MOTORS WILL SUPPLY THE POWER FOR THESE MODELS. SCHEDULED FOR THE SECOND QUARTER OF 2010. THE CAB FORWARDS HAVE BEEN IN THE WORKS SINCE SEPTEMBER OF 2007. Please go to the next page of "SP Cab Forwards" where you will find large Beautiful Photos. MAC users can use the "command Key" and the - or + keys to enlarge or shrink the page size if you're using the latest version of "Firefox". Many PC user can do the same. 1940"s to early 1950"s, the steam to diesel transition period so popular with modelers. These will have the large Southern Pacific on the tender. Several AC-7 and AC-8models are being done "as built", since these two classes underwent some interesting changes over their years of service. These will have small Southern Pacific Lines on the tender. See the listings below for a description of each model"s primary detail differences. 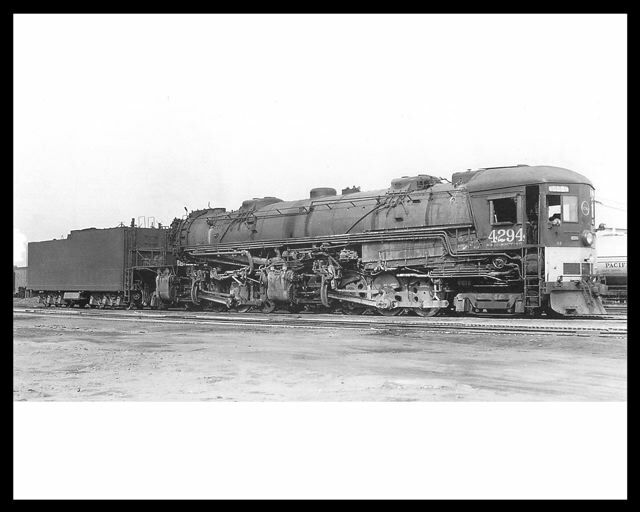 SP AC-7 Class 4-8-8-2 Cab Forward Articulated. 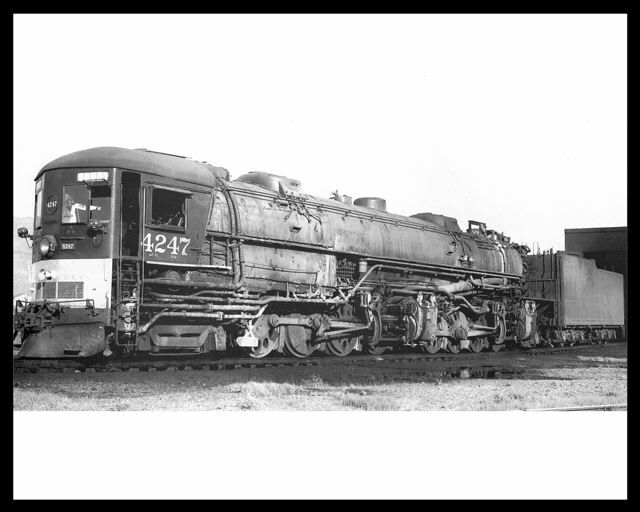 The 26 class AC-7 engines, numbered 4151-4176, were the first new articulated engines purchased by the SP after the Great Depression. It was SP's largest purchase since 1929. 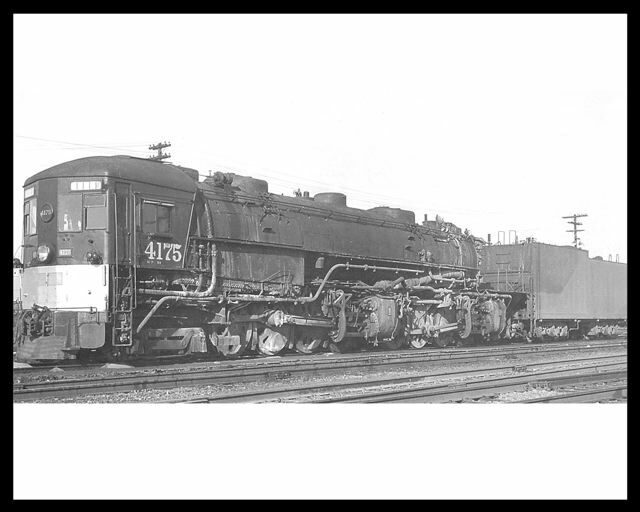 The AC-7's, purchased in 1937, were the first class to have the enlarged & "streamlined" and large rectangular tender. They were the prototypes for all the remaining cab forwards, which all had the same dimensions and differed only in minor detailing. headlight. All the following classes had the backup light mounted on the rear face of the tender. pilots were replaced with the stamped steel pilot commonly used on modern SP power. However, at least one engine, 4162, kept its boiler tube pilot and even had it uncovered to reveal it as such. The models listed below will have these various types of pilots, making them some of the most interesting of AC's. 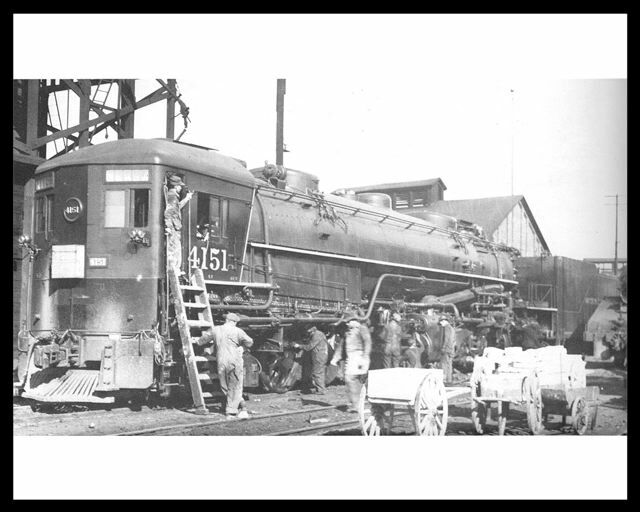 Engine 4151 - First engine of the "late" articulateds in as built configuration. Early AC-7 type front windows, simple sheet steel pilot covering, flat sheet steel extensions to the sides of the pilot, and small Southern Pacific Lines on the 220-R-2 tender. Engine is all black with white driver tires and running board edges. 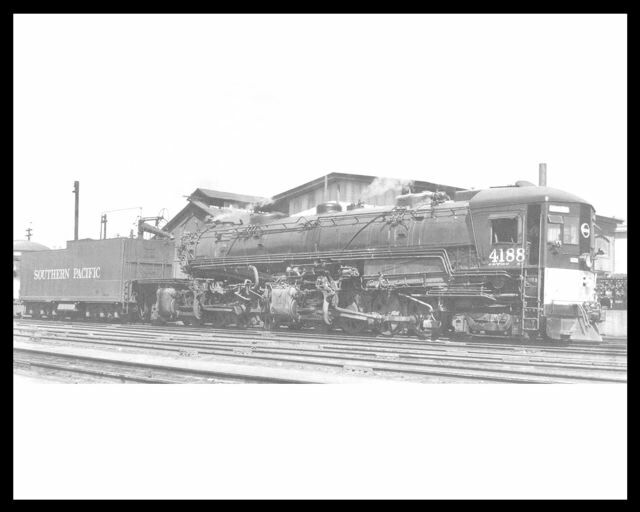 Engine 4156 - Very typical "late" configuration. 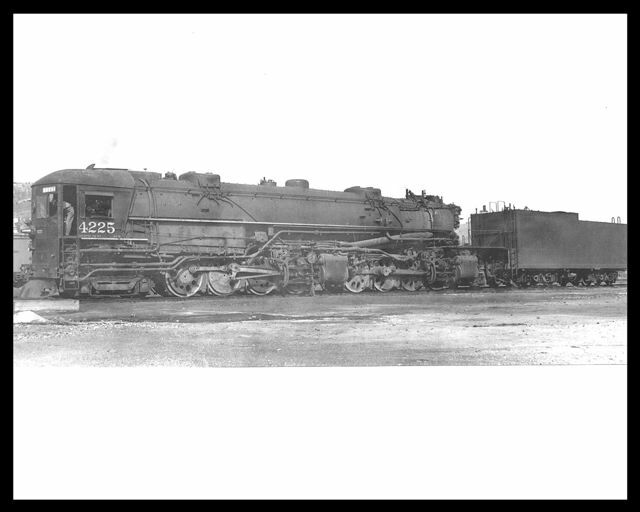 Larger AC-8 type front windows, drifting valves, long rectangular blowdown spreaders, stamped steel pilot, flat sheet steel extensions to the sides of the pilot, and large Southern Pacific on the 220-R-2 tender. Engine is black and graphite with a silver front. Engine 4162 - Unusual "late" configuration. 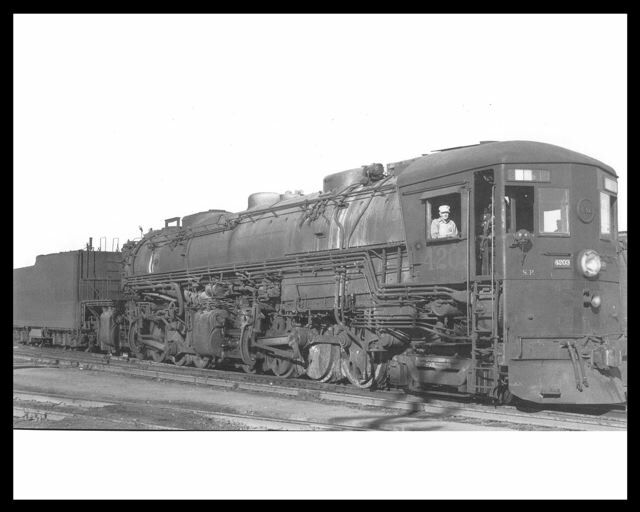 Larger AC-8 type front windows, no drifting valves, short rectangular blowdown spreaders, boiler tube pilot with shield under coupler, flat sheet steel extensions to the sides of the pilot, very unusual visor over headlight, and large Southern Pacific on the 220-R-2 tender. Engine 4167 - Another version of the "as built"configuration. Late AC-7 type front windows, built up snowplow pilot, flat sheet steel extensions to the sides of the pilot, and small Southern Pacific Lines on the 220-R-2 tender. Engine 4175 - Next to the last cab forward set up at Sacramento. All cab forwards after #4176 were set up at El Paso. 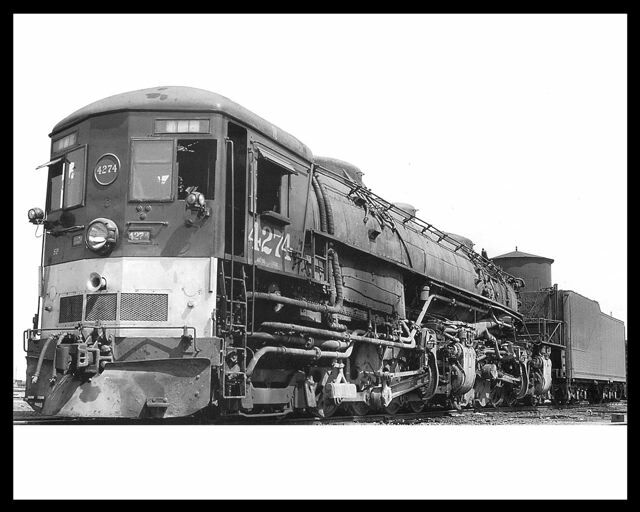 Larger AC-8 type front windows, no drifting valves, long rectangular blowdown spreaders, stamped steel pilot, flat sheet steel extensions to the sides of the pilot, and large Southern Pacific on the 220-R-2 tender. SP AC-8 Class 4-8-8-2 Cab Forward Articulated. The 28 engines of the AC-8 class were purchased in 1939 and followed the pattern set by the AC-7's. The main spotting features of the AC-8's are the air horn placed in the middle of the two small vents under the cab and the snowplow pilot, the first application of this feature to the AC's. 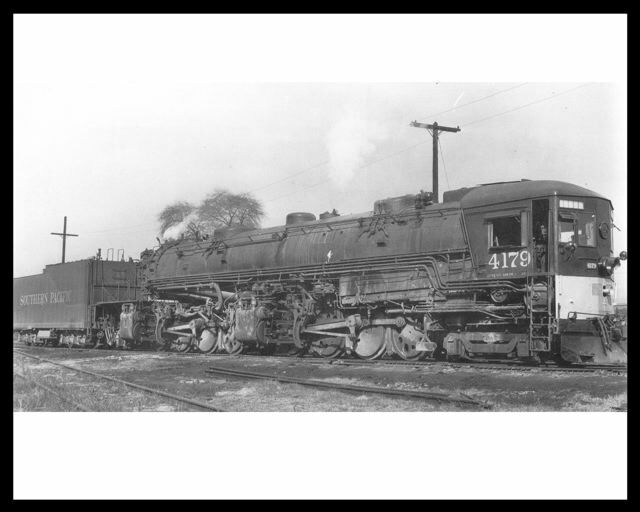 Engine 4177 - First of the AC-8 class in "as built" configuration. No drifting valves, continuous blowdown with small round spreader, and small Southern Pacific Lines on the 220-R-3 tender. 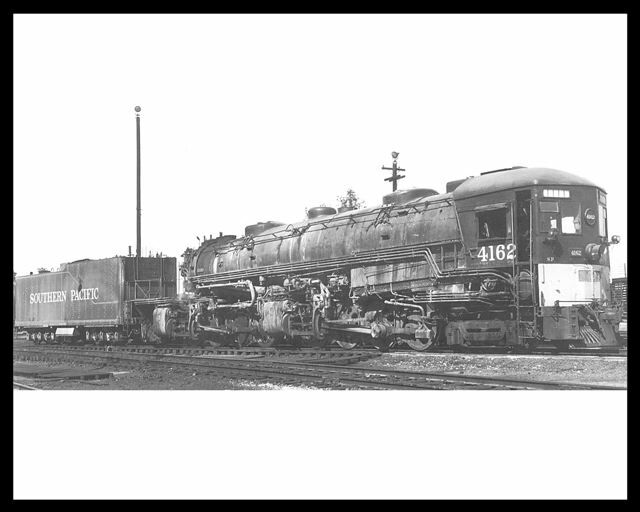 Engine 4179 - A typical "late" configuration. Drifting valves, short rectangular blowdown spreaders, and large Southern Pacific on the 220-R- 3 tender. 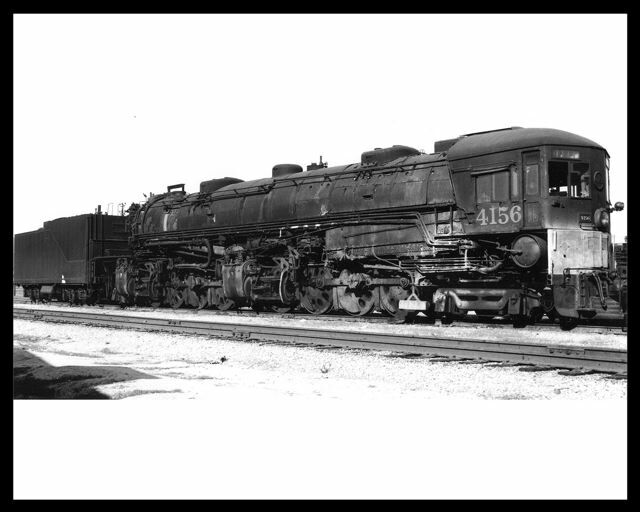 Engine 4186 - According to Robert Church in "Cab-Forward", this was the "Queen of the Sacramento Division". It seemed to give a little more power and could be worked a little harder than any other AC on the division. Drifting valves, long rectangular blowdown spreaders, and large Southern Pacific on the 220-R-3 tender. 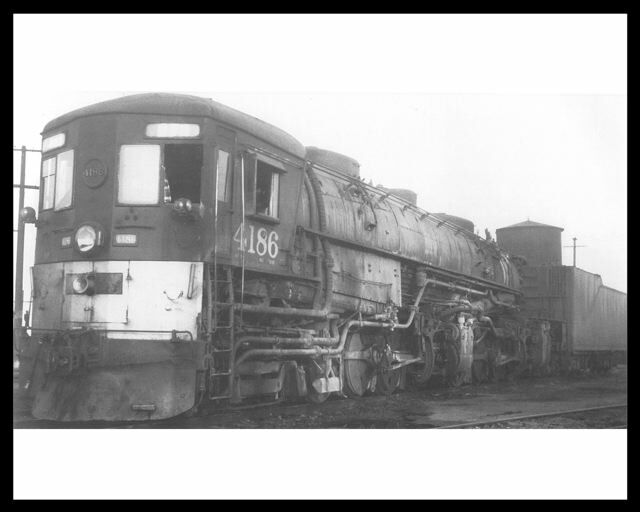 Engine 4188 - This is one of the AC's that tried to rescue the "City of San Francisco", train 101, after it was trapped by an avalanche on Donner Pass in the famous 1952 incident. It wound up trapped along with the streamliner. No drifting valves, short rectangular blowdown spreaders, and large Southern Pacific on the 220- R-3 tender. Engine 4203 - Another "as built" configuration. SP AC-10 Class 4-8-8-2 Cab Forward Articulated. The largest class of cab forwards was the AC-10 class with 40 engines purchased in 1942. These engines had 3 vents under the cab with the air horn positioned above them, the standard design for all remaining cab forwards. 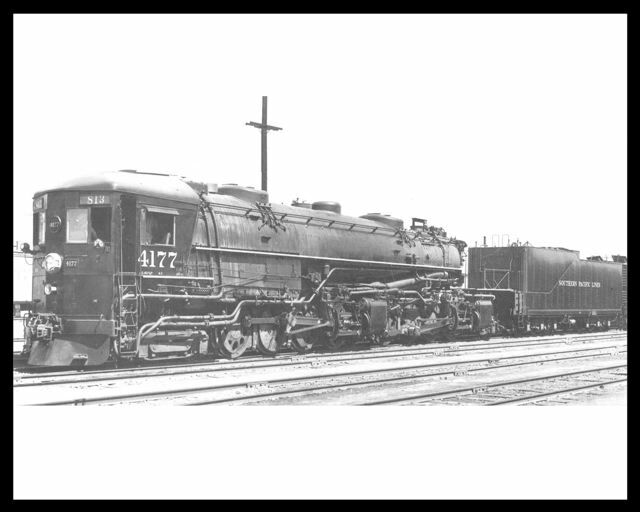 Engine 4225 - In "as delivered" wartime configuration. No drifting valves, continuous blowdown with small round spreader, wartime headlight shield, and small Southern Pacific Lines on the 220-R-4 tender. Engine 4233 - This engine was honored to be on the cover of "Trains" magazine in February, 1950. 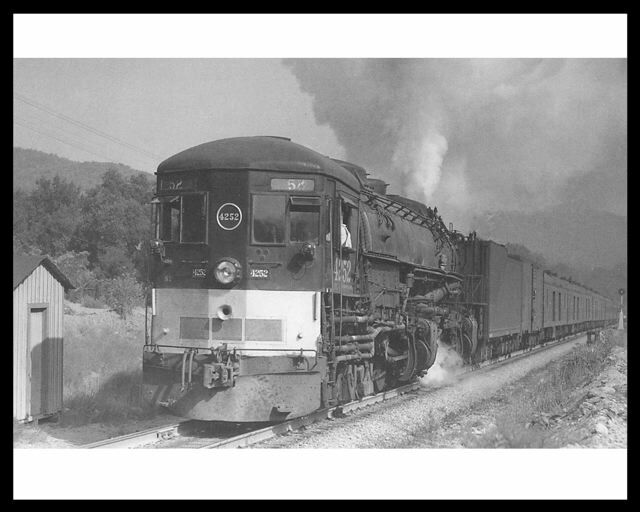 No drifting valves, long rectangular blowdown spreaders, and large Southern Pacific on the 220- R-4 tender. SP AC-11 Class 4-8-8-2 Cab Forward Articulated. 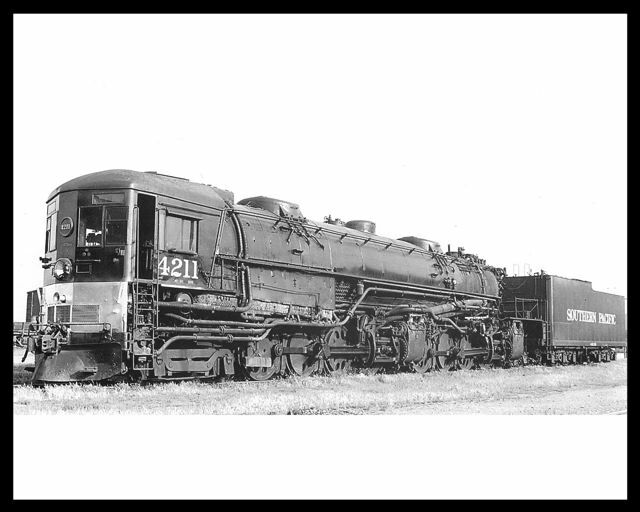 The 30 engines of this class were very near duplicates of the AC-10&#8217;s. The main difference was the slanted journals on the tender. They were built in 1942-1943. Engine 4247 - Unusual in having short blowdown spreaders. Drifting valves, short rectangular blowdown spreaders, and large Southern Pacific on the 220-R- 5 tender. Engine 4252 - This engine really loved the camera. There are a huge number of photos of it. 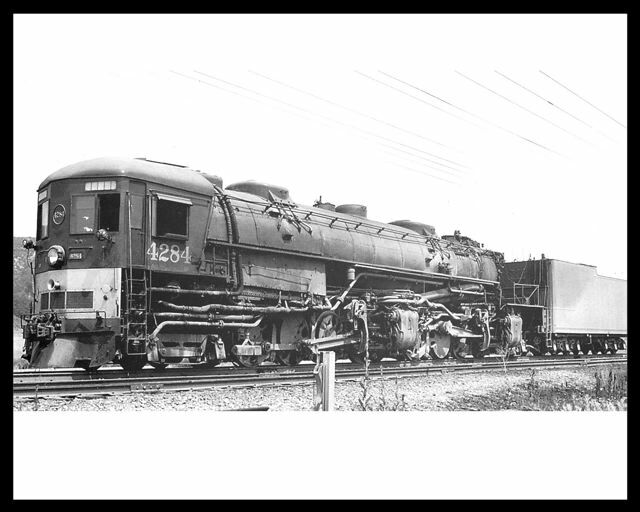 No drifting valves, long rectangular blowdown spreaders, and large Southern Pacific on the 220- R-5 tender. 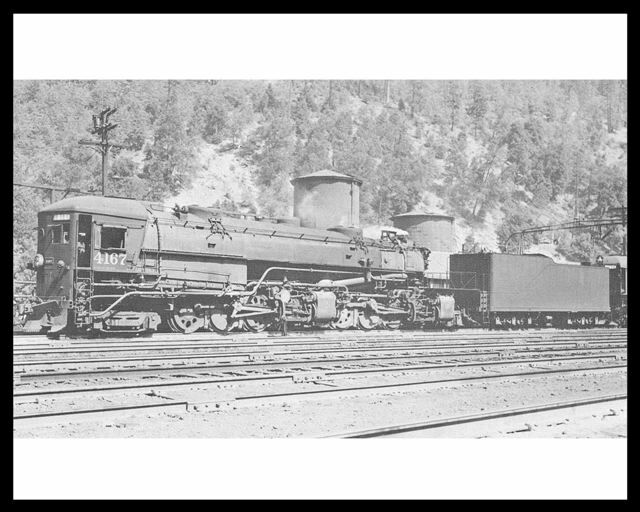 Engine 4274 - This is the famous star of the last trip of a cab Forward over Donner Summit. Drifting valves, long rectangular blowdown spreaders, and large Southern Pacific on the 220-R-5 tender. SP AC-12 Class 4-8-8-2 Cab Forward Articulated. The 20 engines in this class were identical copies of the AC-11's, and were purchased in 1943- 1944. 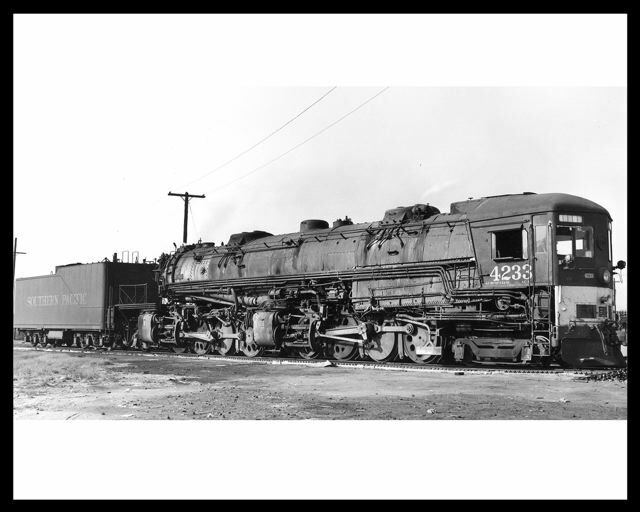 Engine 4284 - This is another of the AC-s that tried to rescue the "City of San Francisco" on Donner Pass in 1952. It also wound up trapped along with the streamliner. 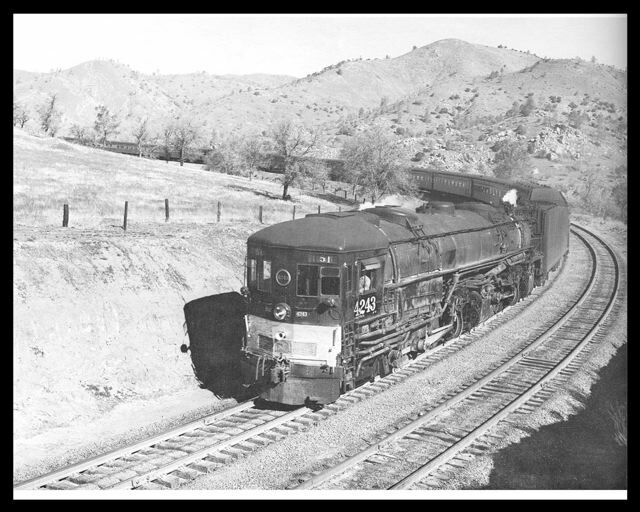 No drifting valves, long rectangular blowdown spreaders, and large Southern Pacific on the 220- R-6 tender. Engine 4286 - This is was the last AC to actually run under its own power. Drifting valves, short rectangular blowdown spreaders, and large Southern Pacific on the 220-R- 6 tender. Engine is black and graphite with a silver front. Engine 4294 - Of course the only surviving AC has to be represented. 4294 is the star attraction at the California Railroad Museum. Drifting valves, long rectangular blowdown spreaders, and large Southern Pacific on the 220-R-6 tender.